A 'regional brewery' can be described as one that distributes to particular regions on a smaller basis than the nationwide breweries many of us are familiar with today. According to the Brewers Association, a regional craft brewery is one with an annual production level between 15,000 and 6 million barrels. Currently, the Florida Beer Company and Cigar City Brewing are the only regional craft breweries operating in Florida. The Jax Brewing Company grew to become the state’s second largest brewery by the time it closed in 1956. Courtesy of the City of Jacksonville Historic Preservation Office. From 1890 until prohibition, regional and local breweries were the real playmakers in the American brewing industry. Up until the late 1960s, Florida’s cities were home to several established regional breweries. Here’s a brief rise and fall story of six regional breweries that successfully quenched Florida’s thirst for decades before finally succumbing to the pressures of competing with large-scale national breweries. The Atlantic Company and Lake Ivanhoe in 1939. (State Archives of Florida). In 1937, with breweries already operating in Atlanta, Chattanooga, Charlotte and Norfolk, Atlanta-based Atlantic Company, opened its fifth brewery in Orlando at 1171 North Orange Avenue. During the 1940’s, the Atlantic Company became the largest regional brewer in the South. Adjacent to the Orlando Water & Light Company, both plants pumped their water out of nearby Lake Highland. Atlantic produced several beers including Atlantic Ale, Beer, Bock Steinerbru Ale, Beer, and Bock Signal Draft Beer. Their slogans during this time period included “Atlantic Ale and Beer: Full of Good Cheer” and “The Beer of the South.” According to the book “Atlanta Beer: A Heady History of Brewing in the Hub of the South,” ABC’s “long aging process and more flavorful beers placed a higher burden on their brewery than did other breweries’ technologies for mass production.” Struggling to compete with national brewers like Anheuser-Busch and Schlitz, the Orlando brewery was sold to NYC businessman Joe Rigenback in 1954. His company, Marlin Brewing Company two brands were Marlin Green Hornet Ale and Marlin White Label Beer. Two years later, the brewery was sold to Baltimore-based National Brewing Company. 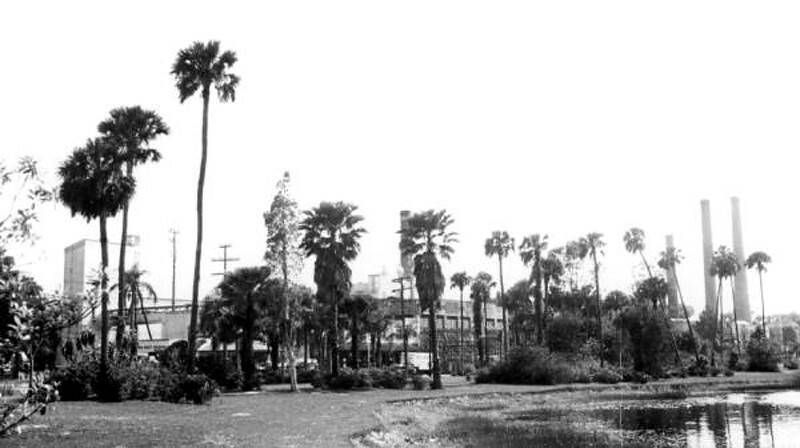 National closed Orlando’s brewery in 1961, relocating its operations to Miami’s Regal Brewery which it acquired from Anheuser-Busch in 1958.